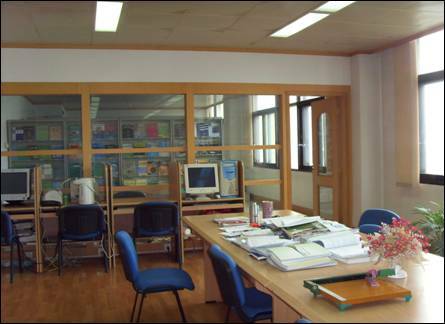 IEECAS's Library are in the original loess and Quaternary Geology of the National Key Laboratory of library established on the basis of the existing foreign language books in more than 6,000 books, periodicals, as well as 3 million copies a large number of internal data and the geological, topographical maps. At present, I have been gradually formed Museum has its own unique collection of professional layout, the main collection on the Loess Plateau, Quaternary geology, global change, as well as adjacent disciplines literature, covering geology, geography, geomorphology, astronomy, geochemistry, Stratigraphy and paleontology, meteorology, climatology and environmental change and sustainable development of the related literature. Library automation has been completed management system, the introduction of ILAS integrated library automation systems, has completed the Western text of library books back to work to achieve the library in the procurement, cataloging, lending, query the work of integration and automation. At the same time, new electronic reading room to provide readers with a convenient network resources inquiries, we have to strengthen the sharing of resources, and strive to present information on the book by the network form of publicity, the production of its own inquiries homepage, readers can in a convenient online Inquiries Library collection. 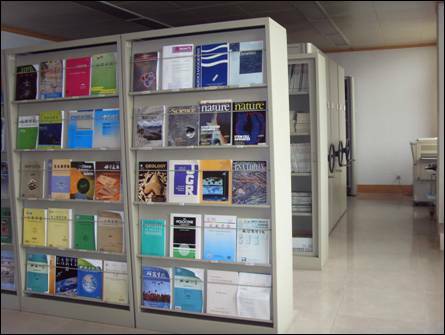 Over 100,000 in existing articles geoscience information based on the literature, the library ready to establish Loess and Quaternary Geology, Global Change Database, including to the Central Library by the results of scientific research personnel, and strive to the excellent results I have summarized information, improve the where the well-known both at home and abroad. At the same time, to continuously improve service quality and service levels, and for scientific research and technological innovation services.